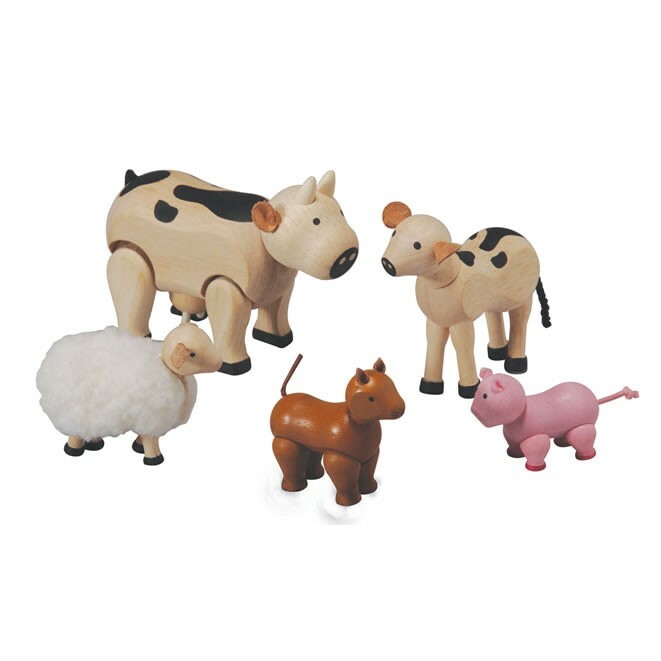 This set contains a cow, a calf, a piglet, a sheep (with removable fleece) and a sheep dog. Perfect for playing farm games. Plan Toys Farm range, made from eco friendly and safe materials. The dolls and vehicles are all comatible with other toys from the dolls house range and vehicles such as they fire engine, fork lift and sports car.